The Cliffs of Moher is Ireland’s number 1 tourist attraction. It is also the first picture you see after your plane lands. You can find quite a few stunning pictures of the Cliffs of Moher at Dublin Airport. Every year, we have people coming from everywhere around the world just to see this Moher Cliffs. Most of them join a Cliffs of Moher tour from Dublin. So, what’s so special about it? Let’s look at it from different aspects. You knew this will be the first one. 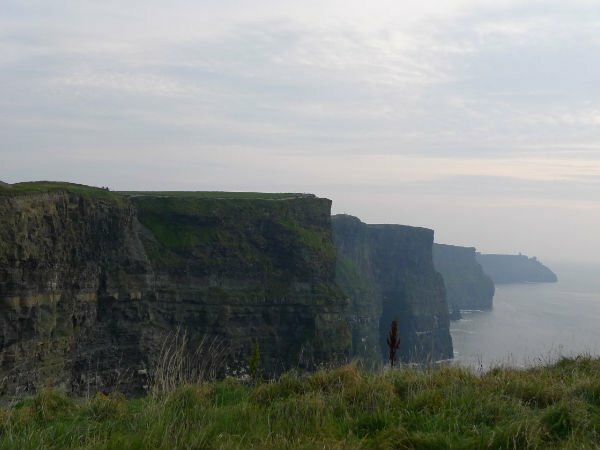 Every introduction starts with a bunch of figures and statistics.Cliffs of Moher is around 200 metres/ 700 feet high and 8 kilometres/ 5 miles long. It reaches 214 metres/ 702 feet at the highest point, which is just north of O’Brien’s Tower.The name Moher comes from Gaelic (like everything else in Ireland). It means “ruined fort” . The Cliffs of Moher actually means the cliffs of the ruined fort. There is, however, no more trace remaining of the fort (as it is 2000 years old already! ).The above mentioned O’Brien’s Tower is a 19th century viewing tower. It is now used as an observation tower for visitors. You need to pay extra to get in though. A selfie at the Cliffs of Moher is now one of the must-do activities. After checking-in on Facebook, Instagram etc., I would highly recommend putting down your phones and enjoy a nice relaxed walk along the cliffs top. The likes on social media is nothing when you compare them with the breathtaking panoramic views of the Cliffs itself and the Atlantic Ocean. On the edge of Western Europe, the Cliffs of Moher also has its historical significance. At least five legends of Ireland are about the Cliffs.On a clear day, from the O’Brien’s Tower, you can see the Aran Islands, Galway Bay, Twelves Pins and the Maum Turk mountains in Connemara and even the Dingle Peninsula in County Kerry. The Cliffs have been carved by time, weather and ocean into fantastic shapes and formations. It is home to a wide array of flora and fauna. You can find an abundance of marine life in the water directly off the Cliffs of Moher. Apart from Seals, you can even see whales or whale sharks (usually in April and May) sometimes. Other creatures like eel, lobster and spider crab (Spider-Crab, Spider-Crab, Does whatever a Spider-Crab does… Anyone singing along?) can all be found near the Cliffs.On land, badgers, rabbits and goats are quite common found near the Cliffs. Seabirds like puffin also live on the Cliffs of Moher from March to August every year. The Cliffs of Moher Visitor Experience, also known as the Atlantic Edge heritage site, has a number of prestigious awards. It is eco-friendly and innovatively designed. Both children and adults will find the pictures, exhibits and experiences inside interesting and entertaining. In this hillside dome-shaped cave, there is the Puffins cafe. It would not be a surprise when you find out that quite a few Hollywood movies are filmed here at the Cliffs. The Princess Bride, Ryan’s Daughter, Harry Potter and the Half-Blood Prince and Leap Year were filmed here. 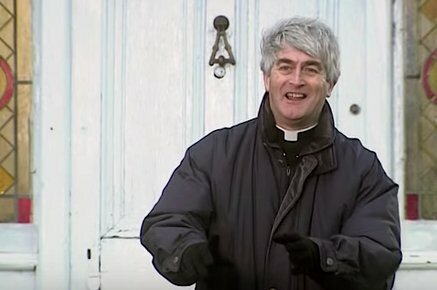 Some music videos like Westlife’s “My Love” and Maroon 5’s “Runaway” also used the Cliffs as their filming location.And of course the Irish comedy TV show – Father Ted!! Book your Cliffs of Moher tour now!